The following story has been submitted by a user of mountainhomenews.com. To submit your own story to the site, click here. There are many two-track trails in the Owyhees that are great for mountain biking and exploring. MOUNTAIN HOME -- Idaho outdoor authors Steve Stuebner and Mark Lisk have teamed up to produce a new 240-page guidebook titled "The Owyhee Canyonlands - An Outdoor Adventure Guide." Copies are available at Gus's Gas Stop in Grand View, Jumbo's in Bruneau, Elmore Books & More in Mountain Home, and the Owyhee County Museum in Murphy, as well as outdoor retail stores in Boise. "The Owyhee Canyonlands - An Outdoor Adventure Guide" combines Stuebner's writing and guidebook expertise with the spectacular photography of fine arts photographer Mark Lisk. The book is a product of several decades of research by Stuebner and Lisk, who love to camp, hike, bike, boat and explore the Owyhee Mountains and Canyonlands. Creek and Jarbidge canyons, south of Mountain Home. It also has a mile-by-mile driving guide to the Owyhee Uplands Backcountry Byway, and camping tips along the way. All told, the Owyhee Canyonlands cover 5 million acres or 7,697 square miles in Owyhee County, Idaho, an area larger than Rhode Island and Connecticut combined. 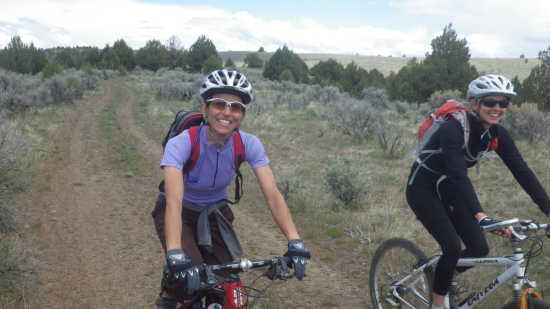 Trail-Running Routes Close to Home, Mountain Biking in Boise and the Boise Road Cycling Guide. trips for the public to enjoy." The books also are available online for sale at SteveStuebner.com, liskstudio.com, and amazon.com.